Mixed Chicks mild SULFATE FREE shampoo gets straight, wavy, & curly hair clean without stripping. The curl-defining formula designed for us, and when we say "us," we mean many... even if you are not mixed, you may have frizzy hair and unruly curls, right? 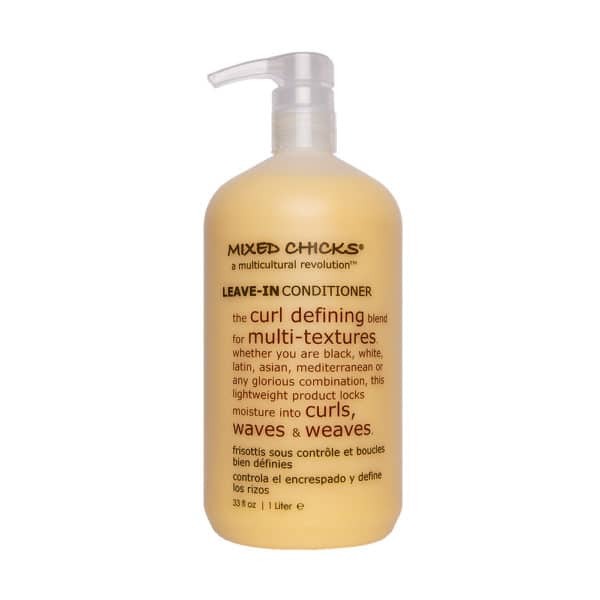 MIXED CHICKS for men, aka, HIS MIX works wonders on curly, frizzy, or unruly hair. Check out this month’s spotlight products! Whether you’re black, white, asian, latin, mediterranean, or any glorious combination of the above, you’ll love the way these non-sticky, lightweight curly hair products leave your hair inviting to touch as they define and lock moisture into every curl. Be a proud part of our multiracial movement…”MIXED CHICKS” your curls! And yes, it not only works on wavy, tightly curled or straight hair but it also works on weaves.